The majestic castle is perched on the slopes of a rocky promontory, the so-called "Lay". The origins of the castle are lost in the mists of time. Some historians believe it was rising on a former Roman fort, while others believe it was built on celtic foundations. 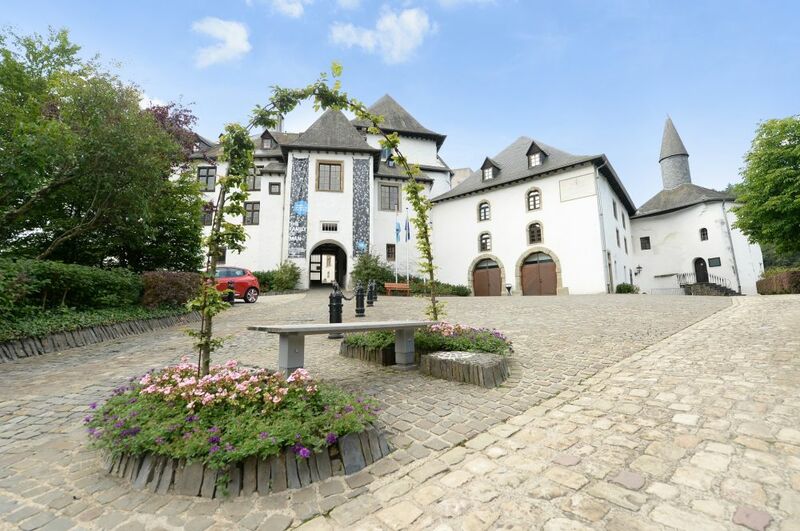 The West wing is the oldest part of the castle, it was built in the 12th Century upon the initiative of Count Gerhard von Sponheim, a brother of the Count of Vianden. 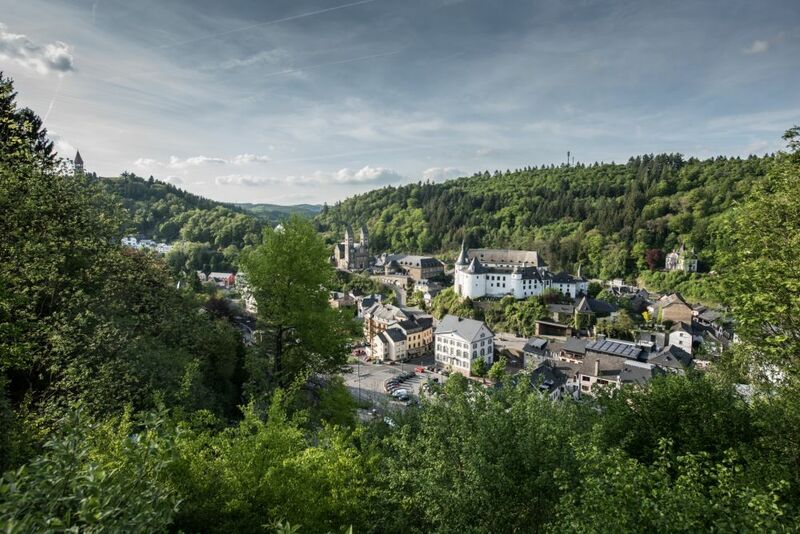 At the beginning of the 15th Century, under the reign of the powerful House of Brandenburg, Clervaux castle was greatly extended. To protect the southern flank of the castle, Frederic I built the massive Burgundy tower which also housed the castle jail. Later, the living accommodation was improved, the cellars were converted and -more importantly- the mighty “Witch Tower” was built in the main courtyard for defense purposes. In 1634 Claude de Lannoy orders the redevelopment of the rather shabby dwellings and stables that extended to the north, and has them transformed into luxurious spacious reception rooms, including the Hall of Knights in the Flemish-Spanish style. A quarter of a Century later, Albert Eugene de Lannoy added administrative buildings, stables and barns but demolished a local church. In 1671 a watchman's lodging was erected at the castle entrance. Today this houses the castle's café-restaurant 'Au Vieux Chateau'. In 1721 new stables were built to the left of the witches tower. Albert Eugene de Lannoy's additions were demolished in 1887 and the recovered stones were used to build a modern mansion for the Count de Berlaymont in the park opposite the former castle. From 1927 to 1930 the castle became private property. In the last throes of the second World War, during the Battle of the Bulge, the castle was badly damaged. Subsequently the Luxembourg State acquired the burnt out ruins and undertook a magnificent restauration. The exhibition started life in the Museum of Modern Art in New York (MoMA), then toured the world several times. It was a tremendous success, drawing more than nine million visitors in the 1950's and 1960's. In 1964, at the end of the collection's journey around the world, the American government presented it as gift to the Grand-Duchy of Luxembourg. It had been Edward Steichen's wish that "the most important work of his life" should be permanently housed in Luxembourg. 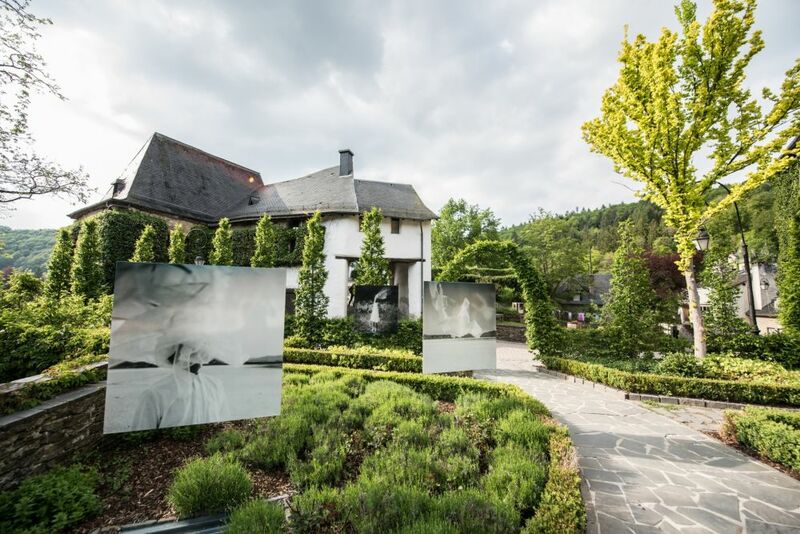 After extensive restoration in Paris, the exhibition opened in Clervaux in 1994 (reopening in 2013).